DFx is focused on design-by-analysis, where design performance is modeled, the model is verified and exercised to optimize the design. The key questions to be asked, therefore, when developing any new product, new service or even a new business process is: Can the (product, service or process) design be accurately modeled? Can we learn from the model to optimize the design? 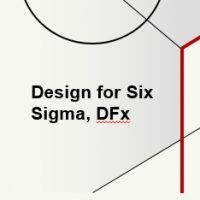 In summary, the DFx objective is robust, optimized designs through validated models rather than through “design by test” and multiple build cycles. As a result, DFx can significantly reduce design risk and shorten your product (or process) development life cycle. Also, powerful software, analytic, simulation and emulation tools should enable DFx now more than ever.